Today’s #FridayReview is loaded with recipes & reviews, as well as some tips & tricks for living a healthy life! 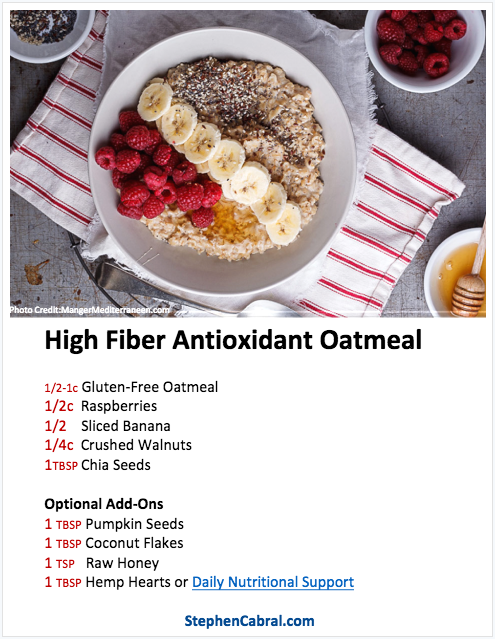 First up, I’ll be sharing with you one of my favorite breakfast or lunch recipes that is full of fiber and antioxidants to keep you feeling satiated while savoring every last bite! Next, I’m going to review a new twist on coffee that will have you 2nd guessing your traditional blend while boosting your brain power! And last, but certainly not least, I’ll share with you some non-potato/corn based recipes for making healthier versions of your favorite chips and French fries! Tune into #Cabral Concept 357 for all the details – Enjoy the show!